In Love, a two-part solo dance performance supported by objects and sculptures, is intending to activate the potential sensitivity of the inanimate. The movement vocabulary is aimed at turning the body into a moving sculpture. Everything is visible, and even over visible. Part 1: I In this world of over exposure, we navigate from one scene to another by weightlessness proper to tactile experiences. How to make a tactile experience visible? How to hide and reveal in a world of over exposure? How to make an image last over time? 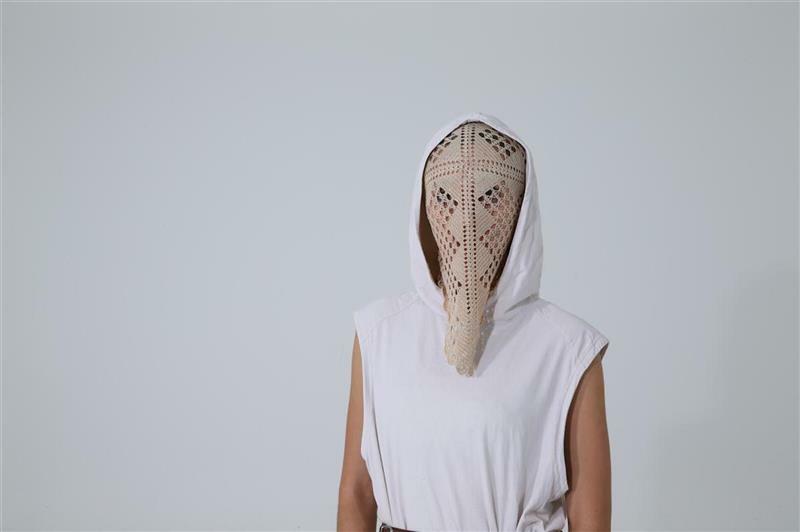 Temiz has worked around topics such as love, war, fear, touch, fear of unknown and protection to find an hybrid form for a dance inspired by visual arts, cinema and architecture.